The national re-registration exercise scheduled for July of this year has been postponed until July 2018. The unexpected re-schedule comes as Governor General Sir Colville Young signed a statutory instrument and proclamation to push back the exercise until next year. The document was officially published in the Government Gazette on June 30, 2017, stating the extension of the timeline of the re-registration process. 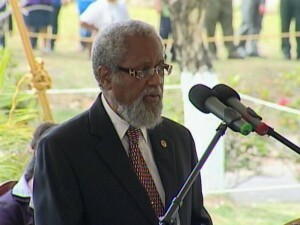 To officially validate the re-scheduling of the exercise, the Governor General cited section 3 of the Representation of the People Act, Chapter 9 of the Laws of Belize. According to the law, this section of the Act states the following: “Provides that the Governor General may at any time by proclamation published in the Gazette, either generally or in respect of any division, after, vary or extend all or any of the dates on which of the periods within which and action is to be taken under the specific law. Young cited in the proclamation that the date for the commencement of the re-registration exercise required to carried out pursuant to the section 9 (1) of the Act is hereby altered from July 1, 2017 to July 1, 2018. He also declared that the date of the following re-registration will remain unaffected by this year’s alteration. The decision to re-schedule the process came after a vote taken by the Elections and Boundaries Commission. Chairman of the Commission Dough Singh explained that the reason for the postponing is due to financial issues since the national exercise will require an expense of about $20 million dollars. Such amount of funds were not included in the national 2017-2018 budget. Furthermore, Singh believes that holding the re-registration process this year would have been impractical, due to the window period before the cut-off date for the upcoming municipal elections is January 10, 2018. According to him, they would need more time to complete the exercise. The next municipal elections are scheduled for March 7, 2018, and at the moment there are 109,003 electors registered to vote across the nine municipalities. In the national spectrum, there are 198, 497 electors across 31 electoral divisions. These numbers are as recent as of June 2017. But the news of the postponement has not been well viewed by the Opposition, the People’s United Party (PUP). The Opposition has called on the ruling United Democratic Party (UDP) to carry on with the re-registration before the municipal elections. Former Chairman of the PUP and Cayo North East Constituency, Orlando Espat told the media that he had registered his disagreement with the Commission. “We are going into another election with a corrupt list,” said Espat. 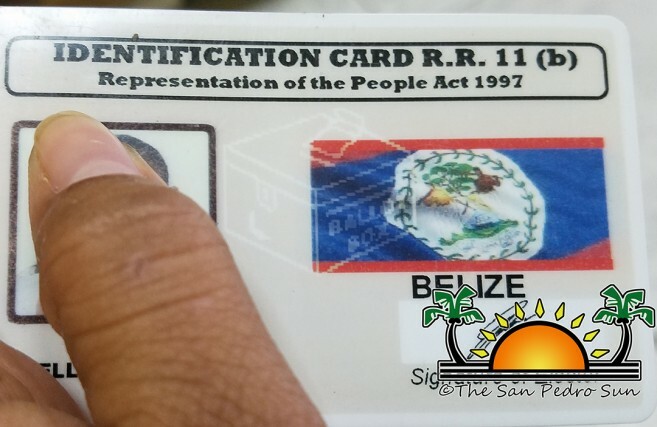 “It is evident that in the light of the immigration scandal people voted in the previous elections, even though they did not qualify.” He added that people were granted Belizean citizenship, while claiming addresses where sometimes there was no house on the lot. Espat also added that even though the PUP wanted re-registration first, however, the Commission, by a majority of votes, had decided that the re-division of the electoral divisions should be done first. The Opposition supports this notion since it is a method that takes a better estimate of a vote. However, other members of the PUP are still convinced that re-registration could have been done ahead of the municipal elections. A representative of the Opposition on the Commission, Derek Courtenay is more than sure that it was a possible task. “I believe if we wanted to, we could have done it,” he said. “We just know it’s ahead of us.” Courtenay also agreed with the decision to have a re-division instead of a re-districting, which he believes could shift voters into a constituency different from the one they are currently in. On the other hand, UDP chairman, Alberto August is confident that the ruling party will take all 67 seats in the upcoming municipal elections. But he argues that re-registration should be done on a different time, as the periodic reviews permit for challenges to voters on the list of electors. The Opposition contends that the challenges are usually mounted to remove deceased persons and to remove persons registered at addresses where they have never lived. Espat considers it very difficult to get people off the list. “The political parties would engineer challenges mounted by registered electors to persons appearing on the voters list, including providing legal counsel,” said Espat. He added that people are not too active outside of the election season. According to Espat, the PUP could mount a legal challenge to the decision of pushing back the re-registration and take the matter to court. But due to the law quoted by the statutory instrument, which gives latitude to the Governor General to amend dates, it is believed it would be impossible to reverse the decision already taken by the Queen’s representative. The Opposition is not the only entity against the postponement. The Belize Network of Non-Governmental Organizations along with the Belize National Teachers Union are all opposed to the idea as well. They believe it could be a strategy for the current administration to once again win the elections with the same list of electors, which they believe is in great need of a reshuffling. The last time Belize held a re-registration was in 1997 under UDP Prime Minister Manuel Esquivel. The following year, during the elections in 1998, the PUP rose to power. Elections and Boundaries Department: "Your Vote is Secret"